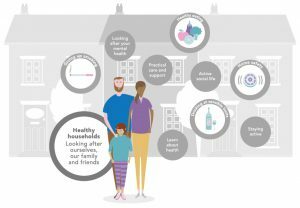 We want healthy households where people look after their family and friends, stay active, learn about and look after their physical and mental health and have an active social life. 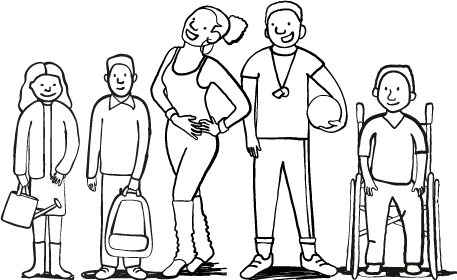 We want healthy neighbourhoods with good transport, leisure, social and cultural activities, information and advice. Areas with good neighbours who are happy to do something for others enjoy many benefits and residents suffer less from the physical and mental side-effects of loneliness. We must understand the connection between good work conditions and good health. We must focus not just on getting people into work, but making sure that jobs support good health and that careers progress through working life. Being out of work is linked with a 20% higher rate of preventable death, and long-term unemployment brings much higher rates of mental health problems. Being out of work is also linked with higher rates of smoking and drinking, and less physical activity. Getting back into work improves health – as long as it’s good quality work with clear expectations, career development and staff can influence their work. We’re working together to transform health and social care for the people of Manchester. The Manchester Local care Organisation (MLCO) was launched in April 2018 to deliver person-centred, place-based care for the people of Manchester. Find out more about Manchester Local Care Organisation. 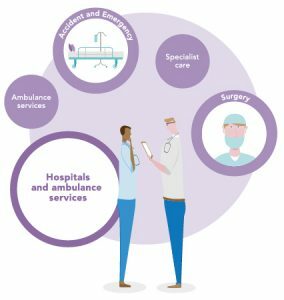 Our plans for Manchester’s Single Hospital Service builds on the high quality expert care our hospitals already provide, by working closer together as part of the same organisation. Better health is an essential part of the new ambition the whole of Manchester has set for itself by 2025. We can only reach this ‘Our Manchester vision’ through unprecedented collaboration and radical change to the way we all work together, focussing the whole of Manchester’s industry, creativity and innovation and harnessing our collective knowledge, skills and time. Public, private and voluntary organisations, residents and volunteers are now working together to make Our Manchester a reality. Our Healthier Manchester plays a vital part within this, read more about how we will be making it work. We also have a video about the Our Manchester approach.